So I briefly mentioned last week how I will be participating in the Nations Capital Autism Speaks Walk. I know many people have mixed feelings about Autism Speaks. Some think of the organization as a godsend, others… especially adults with autism, feel they don’t need an organization to supposedly SPEAK for them. 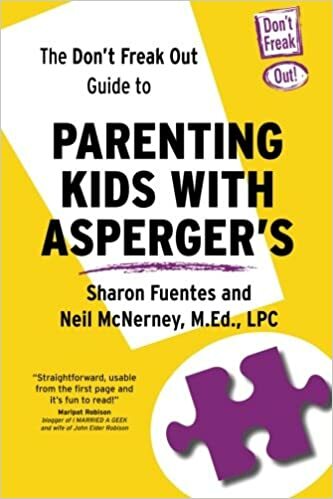 I am one of the folks who is more concerned with making things easier for my child NOW and in the future rather than spending a lot of money trying to figure out WHY Autism exists and how to FIX it. I don’t think my son needs to be fixed. But he does need to be understood and well, that means money has to be spent to figure out the Whys and the Whats and so forth. I also understand how easy it is to say this because even on his BAD days my boy is so far ahead of many other children on the spectrum. Perhaps I would feel differently if he wasn’t. Anyway this is why I support Autism Speaks. So with the above in mind, I decided to reach out to my children’s teachers and ask them to help get my message across. I sent the letter below out late last night. As of this morning I have had about 5 responses from teachers already. I also had a request for permission to send my letter to all the counselors in the COUNTY. Of course I said yes. All that is great but the bottom line is no one has joined our team yet and we are still a very VERY long way from our goal of raising $1,500. So I decided to post my letter here. My hope is that perhaps someone will read my message and feel compelled to donate. If nothing else I ask that you please forward it on and share this message with others so that maybe, just maybe we will reach our goal! Thank you for your support! You all are my angels! I am writing to you all because I have a HUGE favor to ask. I need you to help me spread this email message to your fellow teachers, counselors, friends and whomever else you can and PLEASE ask them to consider joining the team.On October 22 Autism Speaks will be hosting their annual National Walk for Autism. The 2.5 mile walk starts at The National Mall. My family will be there and I hope you will consider joining us. In case you have not figured it out yet, Autism Advocacy is something near and dear to my heart. My son Jay has Autism. Jay inspires me and I feel blessed to have him in my life. But not a day goes by that I don’t worry about his future. I worry about Bullies and about him being able to find his place in this world. I know it won’t be easy, but I know Jay.. HE WILL DO IT and he will do it well. What I also know is just how fortunate I am. My son is verbal and smart and honestly… he has a wonderful support system around him. (That would include you all.) But every 15 minutes a new family is hearing those words that will change their life forever, “Your child has autism!” They may not be as fortunate as we are. That is why Autism Speaks is so important. But here is the thing… some people don’t see our kids! They don’t take the time to truly look past the quirky behaviors and get to know our babies. I am walking to bring awareness to the world… to force people to see my child and all the others too! My hope is that once they REALLY SEE them, then perhaps they will accept them for who they are. Compassion, understanding, tolerance and empathy. A big wish list I know! Below is a Link to MY TEAM Page. Please take a look, consider donating and/or joining our team and get others to sponsor you. Many of the answers to questions you might have can be found by exploring the Walk Now for Autism website. Thank you for your time and for being the angels you are!